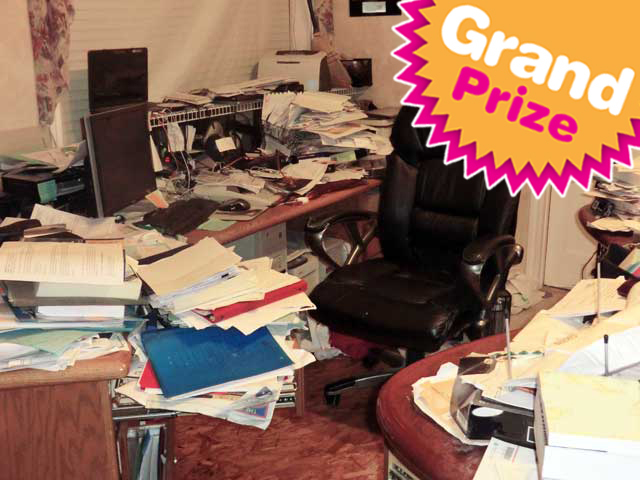 The voters have spoken and we have a winner in the TOPS Products Messy Desk Do Over Contest! Congratulations to Dusan S.
As you can see, Dusan truly earned that desk make over. The TOPS Products Grand Prize Package should help you whip your office into shape. Good luck! Also, congratulations to runners up Angelina J. and Suzanna P. You can gawk at their messy desks at the TOPS Work Wonders Blog. 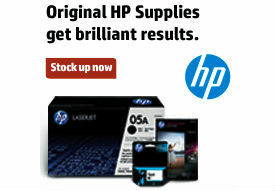 Keep watching Office Ink and follow On Time Supplies on Facebook for more chances to win free office supplies!